A collection bursting with embellishments is quite the understatement. 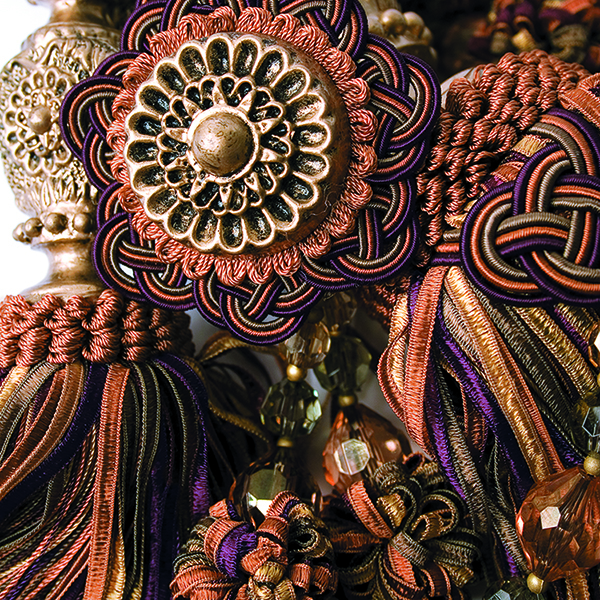 Tapestry's over-sized tassel and ball fringes, sparkling beads and a tieback fit for royalty are only a few of its characters. Garish details are woven throughout the collection. Even the 10 colorways are intricate.